Negligent Security - BJE Law, P.A. Everyone likes to feel safe and secure. Unfortunately, individuals sometimes have a false sense of security, and when they are supposed to be safe, they might not be. This is known as negligent security and this can result in harm and injury to someone. Populated areas such as Tampa are well known areas for incidents such as these. If you or someone close to you was injured because of the lack of security, contact BJE Law, P.A. today. When a property owner invites someone onto his or her property, the owner has a legal obligation to make sure the property is reasonably secure and that the visitor is protected from criminal activity. For example, property owners must warn visitors of the potential danger and adequately secure the property against criminal acts. They should maintain adequate security personnel, adequate lighting, and adequate parking lot surveillance to prevent assaults or break-ins on the property. When they fail to do so, despite foreknowledge of the potential danger, and visitors are harmed as a result, property owners can be charged with negligent security. 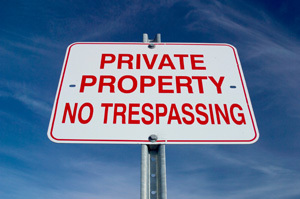 These laws apply to private as well as public property, including residences and businesses. A Tampa Injury lawyer can assist clients in thoroughly investigating the causes of their injuries and in filing a claim against those responsible. If you or a loved one has been seriously injured or killed due to negligent security, please call and/or text BJE Law, P.A. today at (813) 992-HURT for a free and confidential appointment to discuss your rights.